You are here: Home / Kindergarten Teaching Ideas / 28 April Fool Day Pranks for Preschool or Kindergarten fun! Are you looking to prank your kindergarten or preschool child or student? 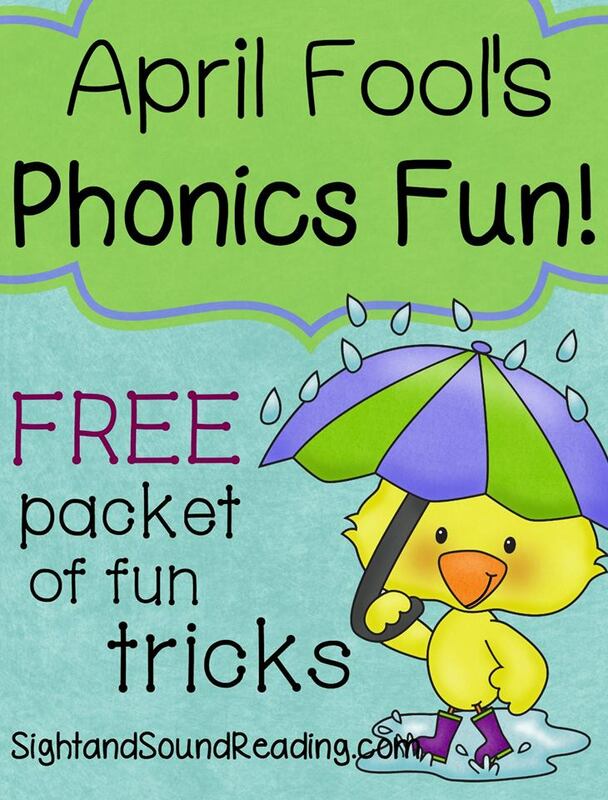 Here are some fun April Fool Day pranks for Preschool or Kindergarten! I have done a few of these pranks and I think you will get a good laugh! 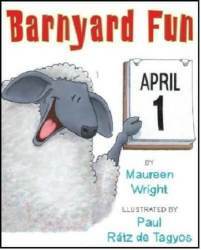 A great book to read for April Fools day is Barnyard Fun. Super cute for kids about how the animals all play little pranks on each other on April 1. Water Bottle Prank from All for the Boys – This prank will make your children and room wet, but you will have great fun to see them sprayed with water while they are going to drink. Chocolate Grapes from Happy Busy Kids Mom – Your children will be surprised when they open the chocolate wrapper and find grapes instead of chocolate. The other joke about doorbell might you laugh aloud to hear the alive bell sound. April Fool’s Day Poop Cookies from Gina Kirk – Can you imagine how your children see the cookies spread around the house? It is better for you to think how you can hold your burst of laugh. Broccoli Lollipops from Meet Penny – Do you have lollipop lovers at home? This prank will make them disappointed to get broccoli instead of lollipop they expect to get. 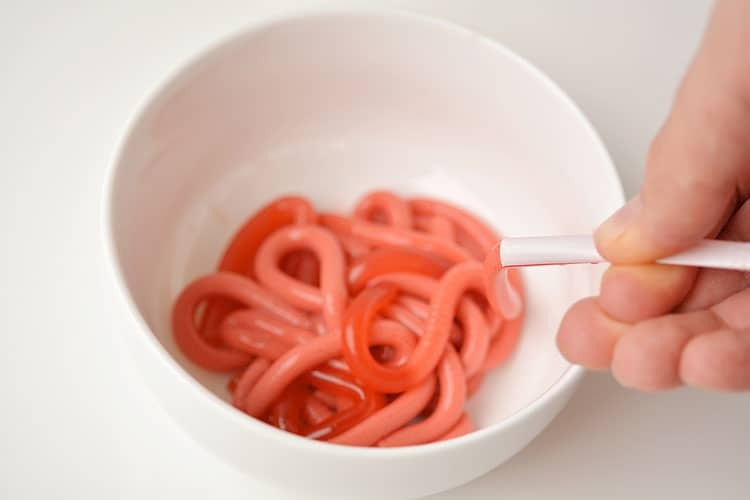 Bowl of Worms – One Little Project – This will make a disgusting food your children refuse to eat. Silly Blue Bath Water Prank from The Maven – How surprised your children will be when they enter the bathroom and find the blue water in the bath tub! Balloon Behind Door Prank from Ya Ma Donkey – Have you ever made this prank work for your children? Jelly Beans April Fools Prank from Whats Cooking with Kids – You can set some jelly beans in the ice dispenser so that kids will be surprised to jelly beans instead of ice. DIY Spilled Coffee Prank from Red Ted Art – Here is a simple DIY you can work with kids to help them arrange some pranks for their friends. Missing TV Remote from Not So Idle Hands – I love the real pictures of safe pranks that kids can be involved. Tissue Dispenser Necklace from Make It and Love It – Avoiding allergy effects during the April Fool day? Then you need to make this creative DIY. 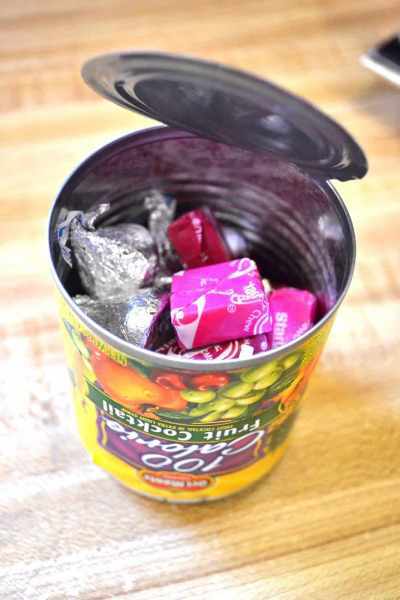 Candy in a Fruit Can from Come Together Kids – Giving healthy lunchbox pranks in the April Fool day? Check out this post and get some ideas. 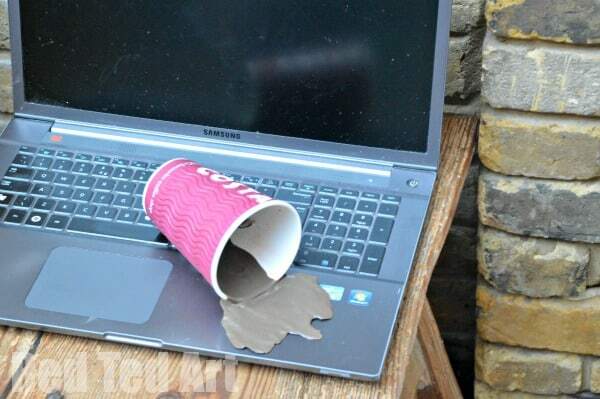 Portable Milk Splatter from Instructables – Want to give shock for people with some wet things poured on the electronic devices? Try this trick. Doughnut Seeds from Very Enchanting – Here is a great recipe for a prank in the April Fool Day. Give surprise to anyone who want to eat it. 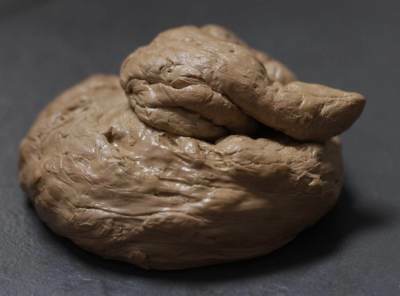 Fake Dog Poop Prank from Kids Crafts Room – Poop is the most disgusting prank in the April Fool Day. Here is some recipe to make ones. Good luck. 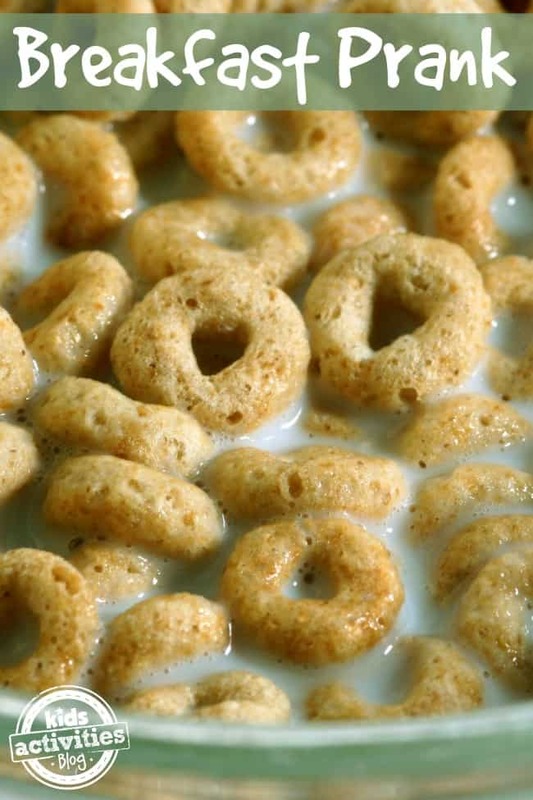 Frozen Cereal Prank from Today – Surprise your children in morning with the frozen cereal prank and other safe but humorous ideas. Food Coloring Toothbrushes from Love and Laundry – Children will be shocked to find their teeth are colorful after they brush their teeth in the morning. April Fool’s Day Breakfast Prank from Kids Activities Blog – Here is another prank to surprised your children in the breakfast time. Can you imagine how they try to eat the frozen breakfast? Shampoo Bottle Prank from The Purple Bug Project – You will certainly make children angry because they cannot squeeze the shampoo bottle in the middle of their shower time. April Fool’s Meatloaf Cupcakes from Courtney’s Sweets – Have some delicious cupcake for your breakfast in the April fool day. See how you can play the kiddos. April Fool’s Brown E’s from JDaniel4’s Mom – Get some bacon like menu for your family breakfast. 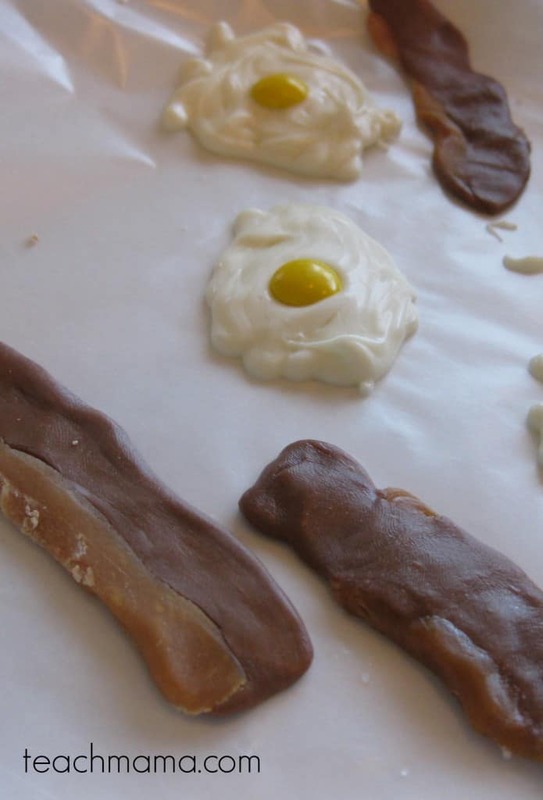 April Fool’s Trick Eggs and Bacon from Teach Mama – You will never know what the food is made out of in the April fool day, right? April Fool’s Fake Bug Prank from Katie’s Crochet Goodies and Crafts – Do you have children that hate bugs? Not my children, but it is myself. I wish I don’t get this prank work for me. Fun Food Prank from Eats Amazing – This prank will suit the sweet or candy lovers. You can cheat them with the wrapped grape. Fake Moldy Bread from A Thrifty Mom – The mold on the bread looks very real. 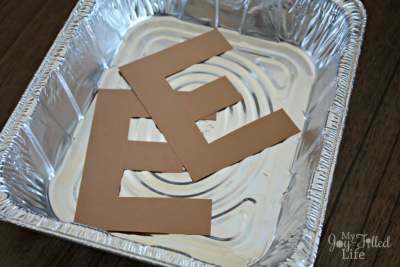 Brown E’s from My Joy Filled Life – Don’t forget to prepare the real brownies or children will be really disappointed. What is your more successful prank for your family? I can unsubscribe you… no problem 🙂 I just did… Thanks!